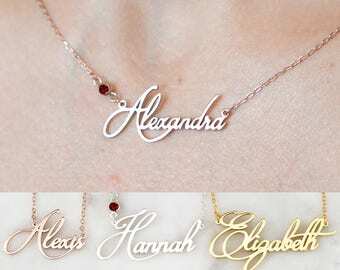 ♥ Dainty Name Necklace with Birthstone ♥ The most unique jewelry you can find, perfect gift for you and your loved one. • Dimensions: Depending on your font choice, height sizes range from 3mm to 5mm lowercase. 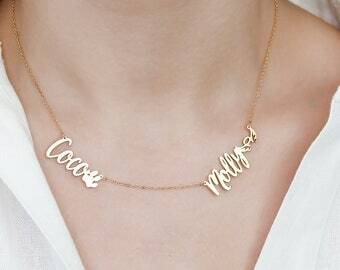 • Listing necklace features FONT #29. If a font is not given, you will receive the font that is pictured. 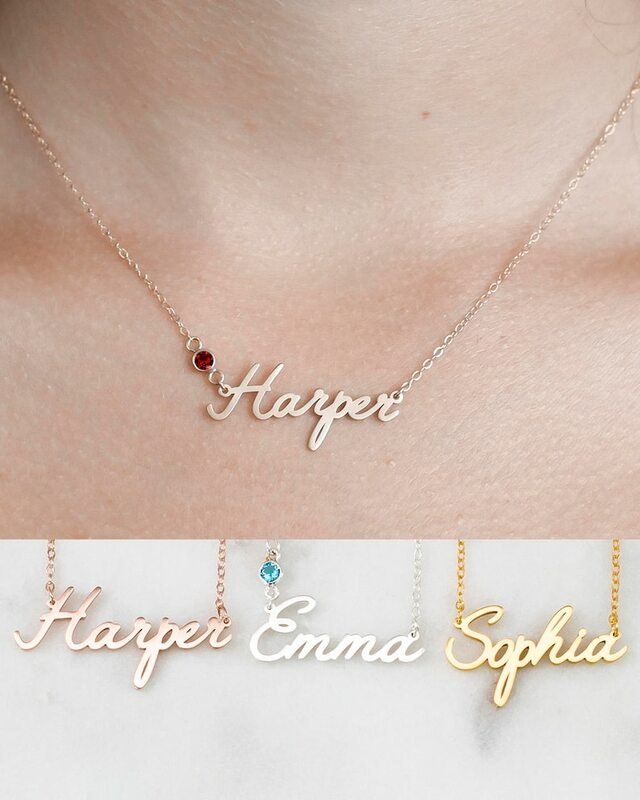 Harper Necklace (in Model Picture) is 19 INHCES, FONT #29. 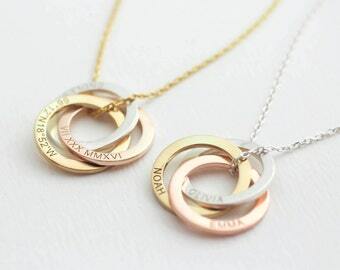 • The length option is the TOTAL chain length (including the charm). If you order an 18" chain, the piece will come as CHAIN + CHARM = 18". All Pieces will come with a 1" extension chain so you can FINE TUNE the fit. • Special offer for Bulk Orders and Bridesmaid Gifts. Contact us for an additional coupon code discount. • All items are custom made to order. Our turn around time is about 6 - 9 business days. This can change during peak seasons. Please check our home page for the most current times. Very happy with our purchase! 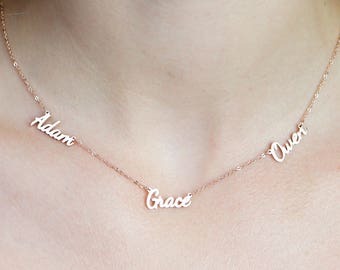 My daughter loves her necklace. My second purchase of a custom necklace from Kate and I love this one as much as my first. Wanted the same design but different finish and I am so happy! Beautiful item that is well made. Will definitely order from her again! ► We accept PayPal, all major credit cards, and ETSY gift cards. ► ETSY handles all payment transactions and billing information. ETSY keeps your payment information secure. We do not have access to any payment information such as credit cards and billing addresses. If a change needs to be made to your billing information, you’ll need to contact ETSY. Here is a handy FAQ sheet regarding billing information and questions: https://www.etsy.com/help/article/1939? All items are handcrafted and customized with care therefore we don’t usually accept returns or exchanges on jewelry unless the fault was ours. 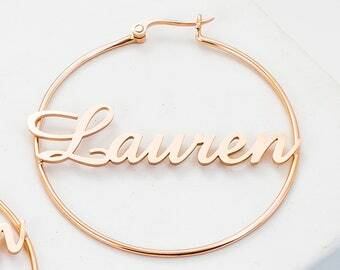 However, we understand that these pieces are very sentimental and important, so If you do have an issue with your product, please feel free to contact us and we can solve the issue. Our team works hard to ensure that you have your jewelry out in a timely fashion so we start the creation process immediately after placing the order. If you need to cancel the transaction, feel free to contact us within 3 days upon purchasing. If you did not order the correct size or your jewelry doesn’t fit, we do offer a resizing or adjustment service, an additional fee might be applied. All packages are insured up to $200 USD, so if your package states "delivered" and you have not received it, please email us and we will start the remaking process for your order. • Our current turnaround time is about 5 - 10 business days upon ordering. Every item we make is custom made from the heart and well worth the wait. Expedited shipping upgrades do not change production time they only speed up the shipping process. • • Combining your order and checking out all at once will help you save on shipping, only $1 per additional item will be added. All orders are shipped and insured up to $200 using USPS. You will receive an email from ETSY once your package has shipped with a tracking number and a link to track directly. First class shipping is $6 and takes 3-5 business days upon being shipped from our workshop. This option is available in the drop down menu upon checkout. Priority shipping is $12 and takes 2-3 business days upon being shipped from our workshop. This option is available in the drop down menu upon checkout. Express shipping is $25 and takes 1-2 business days upon being shipped from our workshop. This option is available in the drop down menu upon checkout. Fedex Overnight prices may vary due to location and we can quote you upon request. All international shipping times may vary due to customs clearance and other variables. We have no control over international shipping times but we do insure all packages in case of loss. We’ve found that the best international shipping method is FEDEX. Please contact us if you'd like to make any changes to your shipping method. Customers are responsible for all duty fees issued by their respective countries. All wholesale inquires are welcome! We have a long term relationship with many wholesalers all over the world. Caitlynminimalist has a team dedicated to working with wholesale customers helping with quality control, on-time shipments, and so on. Need a special piece for your special occasion? Or have you seen a design that catches your eye but you're not quite sure where to get it? We are here to help. We can create anything your heart desires with hight quality and affordable prices. We are proud to have been a part of many wedding party gifts around the globe. 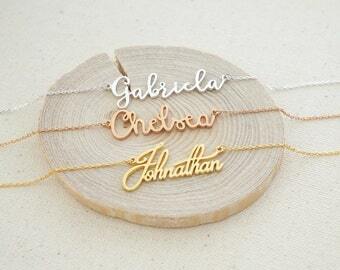 Let us help contribute perfection on your special day with beautiful custom jewelry for your bridal party. We do offer special promotions and elegant packaging for bridesmaids and groomsmen gifts. Feel free to contact us for details. For all of our valued customers, Caitlynminimalist is our only shop on ETSY, we have no affiliation with any other shops on the ETSY platform. Please be aware of other imitators of Caitlynminimalist. ♥ Thank you and hope you have a pleasant shopping experience with us. ► How do I send my Handwriting, Drawing or Fingerprint? • You can send us your image by using the CONTACT SHOP OWNER button. In the message to us, you’ll see an ATTACH IMAGE button below. 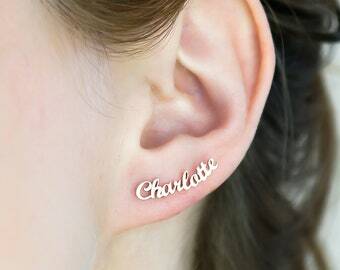 Please attach an IMAGE or PDF file of the design you’d like on your jewelry. It's not important whether you send the image before or after purchasing as we link your order with your image by your username. • You may also email the image file to us at Caitlynminimalist.etsy@gmail.com, just be sure to put your order # or ETSY username in the subject line. ► Will my handwriting work, or how many lines of text can I use? 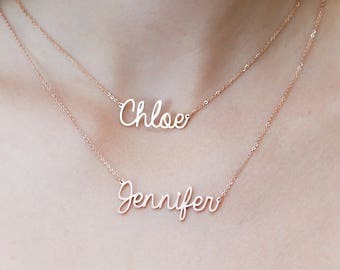 • We don’t usually have a limit on words or characters for each item of jewelry. We typically take a look at your handwriting sample and let you know if it’s possible or if adjustments are necessary. • You can submit any language, and any writing style (cursive, print, etc) and even drawings. • We are able to crop out any unwanted text surrounding the handwriting and we can even take individual words and letters and create phrases with them. 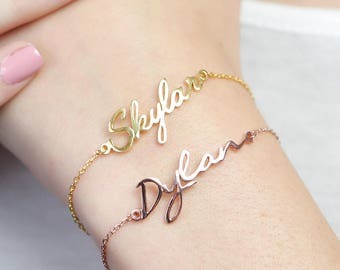 • We can also combine multiple images of handwriting for one piece of jewelry. ► What size should I order? • • BRACELET/BANGLE - I always recommend ordering a size that is .5 to 1 inch larger than your actual wrist size. For example, if your wrist is 5 inches then I’d order a 5.5 or 6 inch bangle/bracelet. We can provide a sizing chart for both bracelets and necklaces for reference upon request. 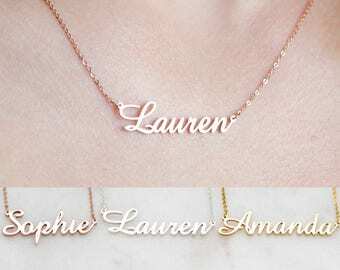 • • NECKLACE – All sizes are in inches and the size includes both CHARM + CHAIN combined to equal the length. • • RINGS – Please try to get your finger sized if you do not know your ring size. 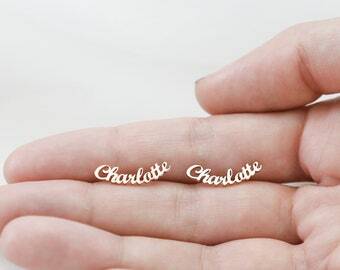 Any local jewelry store or department store can size your finger in a few minutes time. For any ring size conversion needs please refer to www.ringsizes.co for a conversion chart. ► How to care for my jewelry? • Sterling Silver jewelry is meant for everyday wear, while cleaning and caring for your silver is simple. You can either use a small amount of toothpaste and a soft cloth to clean your Sterling Silver. Or you can use any Sterling Silver cleaning solution that can be found at any major retail department store. • If you do not plan on wearing the jewelry for long periods of time, it is ideal to store it in a zip bag or an air-tight container separate from other jewelry with the silica pouch inside the box. ► How do I capture the fingerprint? • You can capture fingerprint with any method of your choice: Ink Kit, Printer's ink or Pencil and Scotch Tape (https://www.wikihow.com/Take-a-Fingerprint-with-a-Pencil). • • Fingerprint copies from funeral homes or fingerprint ID cards can also work for memorial pieces. • • • You can also take a clear picture of your actual finger from a straight angle using your Phone without flash.